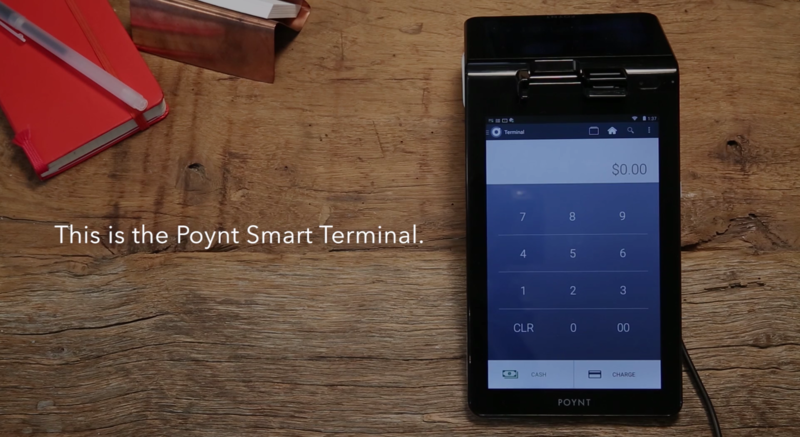 Boasting powerful software, long battery life and ease of use, the Poynt Smart Terminal is a game-changer for any business engaging in sales or service activities face-to-face with its customers. The stunning design of the terminal is impressive in and of itself for those handling it, but as a business owner the thing that will really impress is the way it handles information. EMV built-in. No dongles or extensions needed. Connect with 3G, WiFi or both. Pick the model that works best for your needs. Extended battery life. Go wireless for up to 8 hours..
Built-in receipt printer. Provide your customers with print, email or text receipts. Pay-at-table ready. Accept EMV compliant payments at the table, enabled by eThor.